FROM THE US OPEN — Serena and Venus Williams will face off in the third round at the US Open. That is pretty unusual, because over many years, they were ranked extremely high — such as No. 1 and No. 2 — so they would not meet until late — very late, in the final, or in the semis. But this time, their face-off is in the first week of the Grand Slam. Serena had a baby, and she returned in March, and she is ranked No. 26. Venus is ranked No. 16, and while the 38-year-old is aging, she still is a huge hitter. Listen to Matt on US Open radio! Many, many years ago, around 2002, I was asked to write a big newspaper piece, as to who would have more Grand Slams when they retire. I voted for Venus. I thought, she would improve her forehand, her second serve and her volley. She did, over the years. Still, Venus’ second serve is somewhat weak, and her forehand can be erratic. But, Serena grew much better. She became faster, her serves are supersonic, she cracks her forehand and her backhand, and is focused all the time. Today, Venus has won eight Grand Slams, while Serena has won 23 majors. Many of those victories were at her bigger sister’s expense. When they retire, maybe in two years, Serena will likely be considered the best player ever, while Venus will be called a great champion. In general, though, both of them, Serena pushed a little harder, and employed a better strategy. But on Friday, it should somewhat close. They have played 29 times, 17 wins for Serena and 12 for Venus. At the USO, in 2001, Venus whacked her 6-2, 6-4. But that was it in Flushing Meadows. In 2002, Serena beat her 6-4, 6-3. In 2008, Serena edged her 7-6(6), 7-6 (7), a wonderful contest. In 2015, Serena beat her again 6-2, 1-6, 6-3. On Friday, it will be close, too. They last time they played, when Serena returned at Indian Wells this year, Venus won 6-3, 6-4. As Venus said, she is just getting back on the court. That was correct, because Serena was pretty slow. However, now, she is getting faster and faster, which helped her reach the Wimbledon final. So who wins? Venus looked pretty decent, upending Sveta Kuznetsova and Camila Giorgi, while Serena won easily, smoking her serves. Perhaps Venus will club her backhands and her 120-mph first serve and win it, but Serena is just too strong, and she will win in three tough sets. Here is a terrific match, with Stan Wawrinka versus Milos Raonic. The Swiss is rising, while the Canadian is battling. There should be tremendous rallies, back and fourth, side-to-side and swinging away. The former USO champ Wawrinka will win in four sets. Juan Martin del Potro will be able to attach Fernando Verdasco’s backhand, but the Spaniard is forceful. It sounds like a five-setter, and the Argentine will win it with his heavy forehand. FROM THE US OPEN — Yes, we all know that the heat was stifling. It was very hot and super sticky. It happens in August, everywhere in the United States. Plus, each year, throughout the world, it will continue to become hotter and hotter. Not very quickly, but it is coming and all of you should know that. So if you like to exercise outside, get up early so you can avoid the hard sun. Even though six men retired today, they should be used to dealing with the weather. 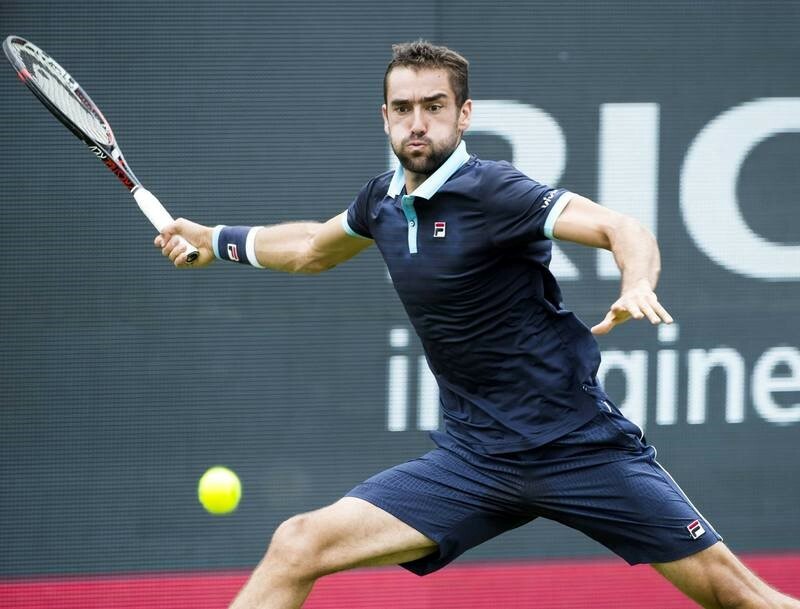 So even if it felt brutal, as Marin Cilic (who won, BTW) said, if you want to play tennis, you have to realize that some days, it is going to stink. But in many others days, on court, it is somewhat comfortable. Novak Djokovic won today, beating Martin Fucsovics 6-3, 3-6, 6-4, 6-0. In the second set, and in the third set, he was down 4-1. He looked tired and slow; he was missing everything. Then all of a sudden, he picked it up and ran again. He drank as much as he could, he was fast and powerful and then, Fucsovics faded, he began to be sick. Djokovic crushed him, quickly. Djokovic is confident and he can be thoughtful. He is back, and he believes that he will improve even more. “It’s a process. After surgery I actually thought that I’m ready to compete on a high level, which I wasn’t,” Djokovic said. “Surgery is quite an aggressive way to eliminate the issue that you have. But, it was inevitable. When you say ‘aggressive,’ that means it takes quite some time to actually recuperate all the confidence and comfort on the court, of striking the ball the way you did before that. I could feel that firsthand actually how long it takes to bring back that flow in the game. He should win in three sets against American Tennys Sandgren. Petra Kvitova won, beating Yanina Wickmayer. She has won Wimbledon twice, and she has gone deep in the semis at Roland Garros and the Australian Open, but she was never rose up at the US Open, only reaching the quarters in 2015 and 2017. But, as she says, in August in New York, she can get tired pretty quickly. However, even though she was disappointed when she lost in the first round at the 2018 Wimbledon, she continued to work and strive. On the hard courts, the No. 5 looked decent, but not spectacular. We will see if she gets better and better this week. And next week, if she gets there. “Wimbledon was just kind of disaster for myself. But always when you’re lost, you are trying to learn something from it, and of course it’s not that easy,” she said. 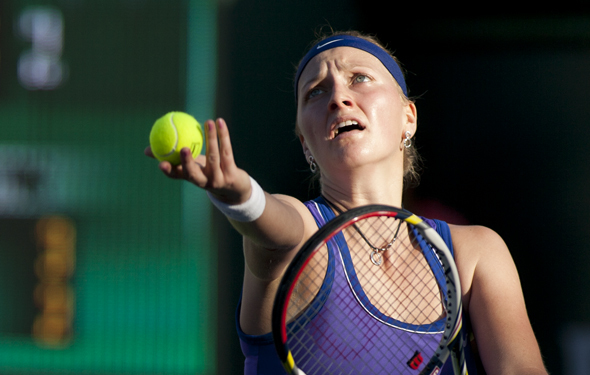 She will face against Yafan Wang, and Kvitova will win in three long sets. FROM THE US OPEN — On Monday, on the US Open radio (listen to Matt), we talked about everything, who is playing, why, when and how? We talked about Rafa Nadal, the favorite, in my opinion; Andy Murray (who won today)[ Stan Wawrinka (who beat Grigor Dimitrov); Juan Martin del Potro, Marin Cilic, and another two favorites: Roger Federer and Novak Djokovic. All of them have won championships.However, Federer and Djokovic could face each other in the quarters. The Serbian beat the Swiss in Cincinnati, in straight sets, on the hard courts. While millions of people love Federer, they have to realize that Djokovic is getting better every week. He was hurt for months, he rose up at Wimbledon, which he won, and now he is definitely one of the favorites. Don’t forget that he beat Nadal 10-8 in the fifth in the semis at Wimbledon. Here in New York, he wants to do again. If Federer and Djokovic are not playing well this week, someone else can seriously push them. Assuming he is healthy enough, Nick Kygious could reach the third round to play against Federer and that should be a terrific contest. But first, they have to get there. Yes, Kyrgios and Federer can out dance them, but the Frenchmen Pierre-Hugues Herbert and Benoit Paire can threaten them, too. Djokovic is pretty safe. Of course, either Lucas Pouille or Pablo Carreno Busta, (who reached the semis last year at the US O;en) can threaten or frustrated him, but the 13-time Grand Slam champion will hang in there. A few months ago, he couldn’t. Now he can. Both Federer (against Yoshihito Nishioka in the 1st round) and Djokovic (versus Martin Fussovics in the first match) will move into the second round. And then? Guess who is playing tomorrow? The 5-time Grand Slam champion Maria Sharapova against the former top-10 er Patty Schnyder. Over the past year and a half, Sharapova has been hurt frequently. When she feels healthy, she is still pretty good. She is not great yet, but she always tries very hard, and soon enough, she will rise again. However, with all that said, she has to find a way to feel just fine. That includes her sore body. Schnyder retired in 2011, she was done, but four year slater, she decided to play again. However, she can’t escape the years and now, she is 39 years old. The older you get, the harder it is to sprint. You just can’t be super fast, running and stringing. However, you can mix it up and be very patient. That is why she qualified at the US Open, beating three players. A very smart cookie. Can she out-hit Sharapova? I doubt it. They played eight times, from 2004-2008, and Maria won seven times. They had a classic contest at Roland Garros in 2007 and Sharapova won 9-7 in the third. Maria smiled, and Patty cried for a long time. They have played six, three-setters, which has been darn close. So, it should last for a solid two hours. The Russian always figures it out and will attack the Swiss, again and again. I would think that Ms. Maria will win in three fun sets. 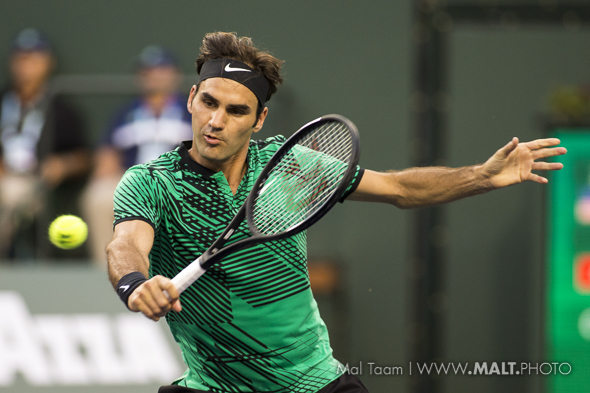 In the second set, Federer began to concentrate, move forward and he was pretty steady. In the second-set tiebreak, the three-time Grand Slam winner Wawrinka blinked just a little bit, he missed a couple key swings, and all of a sudden, they were tied, as Federer took the second set 7-6 (6). Then the rain came, in Cincinnati — again — and the thunder storm was gigantic. Eventually, more or less at midnight, they came back on court. Federer was even more self-assured, and Wawrinka was confused. He smashed his rackets on the ground. Federer will face David Goffin at night, while in the afternoon, Novak Djokovic will play Marin Cilic. Every day, Aryna Sabalenka is getting substantial better. The 20-yearz-old has already reached the semis, and win or lose, at the US Open, she will be seeded for the first time. She is a big, strong player. Assuming she stays healthy, she will crack the top 10 next year and after that, she will charge even further. ..
Once against, Petra Kvitova is into it, beating Elise Mertens in three sets. She rarely backs off and she is faster than she did years ago. Plus, the two-time Grand Slam champion focuses. She will face Kiki Bertens, who is pretty solid. It will be the battle of forehands and who wants it inside the lines. Petra Kvitova played terrific on Tuesday at night in Cincy, beating Serena Williams 6-3, 2-6, 6-3. At Wimbledon, the Los Angeles resident played pretty well, reaching the final — again. Still feeling the effects of motherhood, she was still a little bit slow against Angie Kerber. Like Kim Clijsters, Serena is finding coming back takes more time than expected. If Serena is patient, then the 36-year-old will play more often and win more frequently. A few weeks ago, Williams was crushed in California, losing to Jo Konta. Now she goes down against Kvitova but she didn’t play poorly. 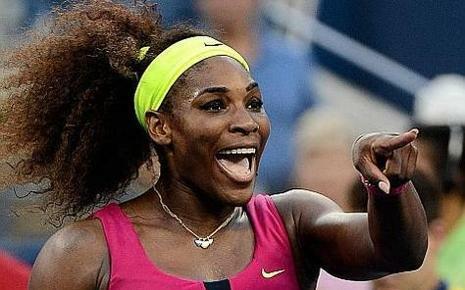 At the US Open, Serena might be nervous, but she has won it six times, If she reaches the second week, watch out. Win or lose, Aryna Sabalenka is coming up fast. She is powerful and head strong. On Wednesday, 20-year old Sabalenka eliminated the former No. 1 Karolina Pliskova 7-5 in the third. Good for the Belarus, mediocre the Czech, who is sputtering this year. About the months ago, Pliskova reached the semis in Madrid, beating Vika Azarenka, Sloane Stephens and Simon Halep, before losing to Kvitova. After that, there is not much for Pliskova. So yesterday, she decided to hire Rennae Stubbs as her coach. A former player and current broadcaster, Stubbs is very smart. But will Pliskova focus? And actually listen, all the time? That is hard to say, because on court, she can be mentally out of it. But when she is locked in, she can beat anyone. It should be fascinating at the US Open. Azarenka has been given a wild card at the US Open, but in Cincy, she lost to Caroline Garcia 6-4, 7-5. Garcia is substantially better over the past year and a half, but just like Serena, Azarenka has to readjust after becoming a mom. Here’s a good win: Elina Svitolina beats Svetlana Kuznetsova in a marathon: 7-6(1), 3-6, 6-4. Svitolina may be reviving. CoCo Vandeweghe is still hurt, I would imagine, when she was smoked by Kiki Bertens. The next day, the Belgian won easily as the No. 2 Caro Wozniacki has to retire with an injury. Caro is getting hurt a lot, again. How many injuries? A billion, in the summer. FROM TORONTO – Here’s your introduction to Stefanos Tsitsipas, who has now reached the ATP 1000 Finals in Toronto. Maybe tennis fans knew that eventually he would would take his place at the top 20, but almost out of nowhere, he ha emerged. In the last six days, he beat the No. 8 Dominic Thiem, former No. 1 Novak Djokovic, the defending titlist Alex Zverev and now, the No. 6, Kevin Anderson. One year ago, he was ranked No. 168. On Sunday, he will be ranked No. 15 in the ATP Rankings and, if he wins the title, on Monday, he will be ranked No. 12. 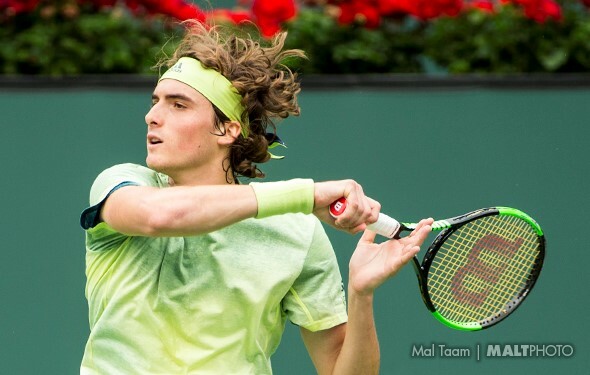 On Sunday, it will be happy birthday for Tsitsipas, who will turn 20 years old. He may be tired, or maybe not, but still, he will battle during the final because he is very happy that thousands of fans will come out and find out who exactly who is. Still, there are many questions. Can he crush his first serve? Can we wallop his forehand? Can he put heavy spin in his one-hand backhand? Does he hustle? Does he think? He is pretty young, but he is showing real signs of understanding the game. He was facing Anderson. In the third-set tiebreak, he held three match points. At 5-4, he ripped his forehand down the line for a winner. At 6-4, match point, he double faulted. Ugh. At 6-5, his forehand went long. At 6-6, he missed another forehand. He shook his head. Anderson was a point away at 7-6. But, Tsitsipas, as Anderson said, “Came up with an unbelievable backhand crosscourt winner.” Tsitsipas aced him, and in his last point, at 8-7, Anderson folded it, when he made an error. See ya. Tsitsipas won 6-7 6-4 7-6 (7). A very happy man. “I was very impressed with the way he played, some of the bigger points of the match. Because I felt like I quite a few opportunities,” Anderson said. “I mean, even in the third, a couple of times I was at deuce. The one game he was up 40-love, I played three really good points to get it back to deuce to sort of get a sniff in the game, and he ends up hitting two aces. So those are the kind of points that he played very well. Tsitsipas is finally aggressive now but still keeping cosistent. Last year, he could get angry and lose it. However, even after he double faults, or pushing it into the net, he moves on and continues to see where he is and what he has to do. He is doing than now, here in Toronto. He will face Rafa Nadal, who took down Karen Khachanov, in the final. FROM TORONTO – Will it be normal, week after week, day after day, to be able to perform well on the courts? I doubt it, but perhaps Alexander (Sasha) Zverev believes in it. He is pretty good, he is alright in the top 3. He plays freely — still — but now many people are gunning for him. He knows that. “It’s normal. 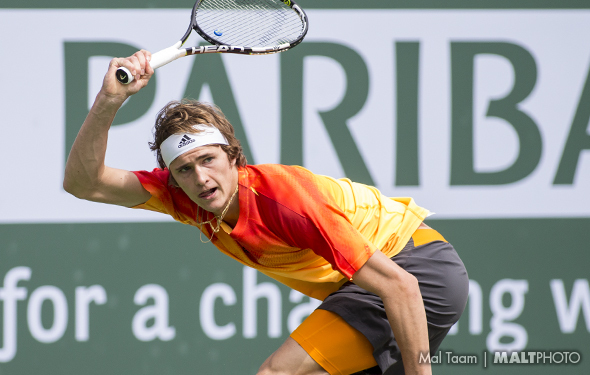 I think all the top guys feel more pressure because everybody is looking for them,” Zverev said. “Everybody is more excited to play them. You saw the reaction that Stefanos [Tsitsipas] had after he beat Novak [Djokovic]. He’s not going to have that reaction beating any other player. So it’s normal. That comes with it. And I think it’s important to learn how to deal with it. I’m doing quite okay with it. After I got to the top 5, I stayed there, and hopefully I will stay there for many more years to come. But, of course, there’s a period where you go through where it changes. Zverev looked pretty sufficient in besting Danill Medvedev 6-3 6-2. He is super strong, he can be patient at times and early on, he can crack his forehands and backhands. Yes, during the Slams, he stops thinking, and he overhits it. But, during through a number of marathon matches at Roland Garros and Wimbledon, he hung in there. He didn’t go far enough, but at least he continued to try. But that was during in the Grand Slams. Right now, Zverev is in Toronto, an ATP 1000. Without a doubt, he has a legitimate change to win the title, even with No. 1 Rafael Nadal in the mix. Tsitsipas will face Zverev on Friday. There are times when player are totally clicked in, and the 19-year-old Tsitsipas never backed off. He lost the second set to Novak Djokovic and he did not fold. Tsitsipas won 6-3 6-7(5) 6-3, with some gigantic serves. Believe it to not, the 2018 Wimbledon champion Djokovic was unable to break him. On hardcourts, that is surprising. But the Serbian knows that Tsitsipas and other young players get better and better all the time. Djokovic will play Cincy next week. While he so-so in Toronto, he should be one of the favorite with Roger Federer, who says he will play there, as well Andy Murray. Will Djokovic eventually be become No. 1 this year? He isn’t sure, but he wants it. 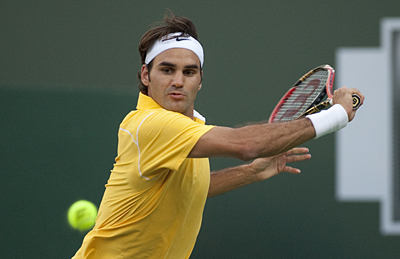 “Grand Slams are probably the most important tournaments for me, for many players,” he said. “But at the same time, I really want to do well in these kind of tournaments. These are the biggest events we have in ATP Tour. I’ve won 30 Master Series events so far in my career. And that stat, shows how committed I am to play well in these tournaments.